107. Hamilton, I.; Matta, C. F.; Sadjadi, SA (2018). “Group 12 doubly charged homonuclear diatomics: The origin of metastability and bonding”, Inorganic Chemistry, in final stages of preparation. 106. Sowlati-Hashjin, S.; Matta, C. F. (2018). “The chemical bond in external electric fields. II. Atomic and bond properties”, Journal of Chemical Physics, in final stages of preparation. 105. Keith, T.; Massa, L.; Cheng, Y.; Matta, C. F. (2018). 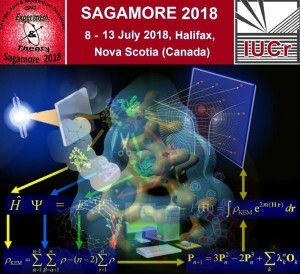 “Interpretation of the Kernel Energy Method (KEM) using the theory of Interacting Quantum Atoms (IQAs)”, Molecular Physics, in final stages of preparation. [Invited, Special Memorial Issue of Professor Dieter Kremer). 104. Polkosnik, W.; Matta, C. F.; Huang, L.; Massa, L. (2018) “Fast and Accurate Quantum Crystallography”, Acta Crystallographica A, submitted, in review. 103. Arabi, A. A.; Matta, C. F. (2018). “Effects of intense electric fields on the double proton transfer in the Watson-Crick GC base pair”, Journal of Physical Chemistry B accepted, in press. 102. Matta, C. F.; Massa, L. (2018). “Quantum crystallography in medicinal chemistry”, Future Medicinal Chemistry 10, 1525-1527. [Invited Guest Editorial for: Special Focus Issue: Computational Medicinal Chemistry]. 101. Hutter, M.C. ; Matta, C. F. (2018). “Ask the experts – computational chemistry”, Future Medicinal Chemistry 10, 1521-1524. [Q&A with B. Walden for: Special Focus Issue: Computational Medicinal Chemistry]. 100. Hutter, M.C. ; Matta, C. F. (2018). “Foreword – Computational medicinal chemistry special focus issue”, Future Medicinal Chemistry 10, 1517-1519. [Invited Guest Editorial Foreword for: Special Focus Issue: Computational Medicinal Chemistry]. 98. Braden, D. A.; Matta, C. F. (2018). “On the unusual synclinal conformations of hexafluorobutadiene and structurally similar molecules” Journal of Physical Chemistry A 122, 4538-4548. 97. Arabi, A. A.; Matta, C. F. (2018). “Adenine-Thymine Tautomerization Under the Influence of Strong Homogeneous Electric Fields”, Physical Chemistry Chemical Physics (PCCP) 20, 12406-12412. 96. A. Genoni, A.; Bučinský, L.; Claiser, N.; Contreras-Garcia, J.; Dittrich, B.; Dominiak, P. M.; Espinosa, E.; Gatti, C.; Giannozzi, P.; Gillet, M.; Jayatilaka, D.; Macchi, P.; Madsen, A. Ø.; Massa, L. J.; Matta, C. F.; Merz Jr., K. M.; Nakashima, P.; Ott, H.; Ryde, U.; Scherer, W.; Schwarz, K.; Sierka, M.; Grabowsky, S. (2018) “Quantum crystallography: current developments and future perspectives”, Chemistry: A European Journal 24,10881-10905. [Invited]. 95. Matta, C. F. (2018). “Quantum crystallography: From the intersection to the union of crystallography and quantum mechanics”, Journal of Computational Chemistry 39, 1019-1020. [Guest Editorial for Special Issue: Quantum Crystallography]. 91. Malinen, K.; Matta, C. F. (2018). ““Climate Change” and the “Butterfly Effect” in an Eighteenth Century Monograph”, Foundations of Chemistry, in press. 90. Matta, C. F., Massa, L. (2017). “Notes on the energy equivalence of information”, Journal of Physical Chemistry A 121, 9131-9135. [Invited]. 89. Matta, C. F. (2017). “De la topogaphie de la densité électronique à une théorie quantique des atomes dans les molécules” [in French] (From the topography of the electron density to a quantum theory of atoms in molecules), Le BUP – Physique-Chimie (Bulletin de l’union des physiciens) 111, 825-845. (Chosen by the journal as “Article of the Month (Link)”). 88. Matta, C. F. (2017). “A Path through Quantum Crystallography: A Short Tribute to Professor Lou Massa”, Structural Chemistry 28, 1279-1283. 87. Matta, C. F. (2017). “On the connections between the quantum theory of atoms in molecules (QTAIM) and density functional theory (DFT): A letter from Richard F. W. Bader to Lou Massa”, Structural Chemistry 28, 1591-1597. 86. Terrabuio, L. A.; da Silva, N. A.; Haiduke, R. L. A.; Matta, C. F. (2017). “Real Space Atomic Decomposition of Fundamental Properties of Carbon Monoxide in the Ground and Two Low-Lying Excited Electronic States”, Molecular Physics 115, 1955-1965. (INVITED – Special Issue: Bandrauk Festschrift). 85. Matta, C. F. (2017). “El camino de enlace cuarenta años después de su descubrimiento: Una manifestación de los enlaces químicos en el espacio real” [in Spanish] (The bond path forty years after its discovery: A manifestation of chemical bonds in real space), Anales de Química (Spain) 113, 36-39. 84. Rochette, E.; Bouchard, N.; Lavergne, J. L.; Matta, C. F.; Fontaine, F. G. (2016). “Spontaneous reduction of a hydroborane to generate a B-B single bond using a frustrated Lewis pair” Angewandte Chemie International Edition 55, 12722-12726. 83. Matta, C. F. (2016). “Drawing a line under the chemical bond”, Chemistry World 13, (No. 10 (October)), 65. 82. Terrabuio, L. A.; Haiduke, R. L. A.; Matta, C. F. (2016). “Difluorodiazirine (CF2N2): A comparative quantum mechanical study of the first triplet and first singlet excited states” Chemical Physics Letters 655-656, 92-102. 81. Terrabuio, L. A.; Haiduke, R. L. A.; Matta, C. F. (2016). “Difluorodiazirine (CF2N2): A quantum mechanical study of the electron density and of the electrostatic potential in the ground- and first excited-electronic states” Theoretical Chemistry Accounts 135, 63. 80. Terrabuio, L. A.; Teodoro, T. Q.; Matta, C. F.; Haiduke, R. L. A. (2016). “An investigation of non-nuclear attractors in heteronuclear diatomic systems” Journal of Physical Chemistry A 120, 1168-1174. 79. Arabi, A. A.; Matta, C. F. (2016). “Bioisosteric groups in methylsquarate and carboxylic acid: The similarities of their electrostatic potentials and average electron densities” Future Medicinal Chemistry 8, 361-371. 78. Rodríguez, J. I.; Matta, C. F.; Molina-Brito, B.; Götz A. W. (2016). “A QTAIM topological analysis of the P3HT-PCBM dimer” Chemical Physics Letters 644, 157-162. 77. Sumar, I.; Cook, R.; Ayers, P. W.; Matta, C. F. (2016). “Aromaticity of rings-in-molecules (RIMs) from electron localization-delocalization matrices (LDMs)” Physica Scripta 91, 013001 (13 pp). 76. Matta, C. F.; Sadjadi, S.; Braden, D. A.; Frenking, G. (2016). “The barrier to the methyl rotation in cis-2-butene and its isomerization energy to trans-2-butene revisited” Journal of Computational Chemistry 37, 143-154. 75. Matta, C. F.; Massa, L. (2015). “The energy equivalence of information in the mitochondrion and the thermodynamic efficiency of ATP synthase” Biochemistry 54, 5376-5378. 74. Huang, L.; Matta, C. F.; Massa, L. (2015). “The kernel energy method (KEM) delivers fast and accurate QTAIM electrostatic charge for atoms in large molecules” Structural Chemistry 26, 1433-1442. 73. Sumar, I.; Cook, R.; Ayers, P. W.; Matta, C. F. (2015). “AIMLDM: A Program to Generate and Manipulate Electron Localization-Delocalization Matrices (LDMs)” Computational and Theoretical Chemistry 1070, 55-67. 72. Lecomte, C.; Espinosa, E.; Matta, C. F. (2015). “On atom-atom “short contact” bonding interactions in crystals”; International Union of Crystallography Journal (IUCrJ) 2, 161–163. 71. Huang, L.; Matta, C. F.; Wallace, S.; Massa, L.; Bernal, I. (2015). “A unique trapping by crystal forces of a hydronium cation displaying a transition state structure” Comptes Rendus Chimie 18, 511-515. 69. Timm, M.; Matta, C. F. (2014). “Primary retention following nuclear recoil in β-decay: Proposed synthesis of a metastable rare gas oxide (38ArO4) from (38ClO4–) and the evolution of chemical bonding over the nuclear transmutation reaction path”; Applied Radiation and Isotopes 94, 206-215. 68. Timm, M. J.; Matta, C. F.;* Massa, L.; Huang, L. (2014). “The localization-delocalization matrix and the electron density-weighted connectivity matrix of a finite graphene flake reconstructed from kernel fragments” Journal of Physical Chemistry A 118, 11304-11316. [Click here for SUPPORTING INFORMATION]. 67. Sumar, I.; Ayers, P. W.; Matta, C. F. (2014). “Electron localization and delocalization matrices in the prediction of pKa‘s and UV-wavelengths of maximum absorbance of p-benzoic acids and the definition of super-atoms in molecules” Chemical Physics Letters 612, 190-197. [Click here for SUPPORTING INFORMATION]. 66. Matta, C. F. (2014). “Localization-delocalization matrices: a molecular fingerprinting tool of potential utility in computational medicinal chemistry”, Future Medicinal Chemistry 6, 1475-1479. 65. Huang, L.; Matta, C. F.; Massa, L. (2014). “A graphene flake under external electric fields reconstructed from field-perturbed kernels”; Carbon 76, 310-320. 64. Dittrich, B.; Matta, C. F. (2014). “Contributions of charge-density research to medicinal chemistry”; International Union of Crystallography Journal (IUCrJ) 1, 457-469. 62. Matta, C. F.; Sowlati-Hashjin, S.; Bandrauk, A. D. (2013). “Dipole moment surfaces of the CH4 + •X → CH3• + HX (X = F, Cl) reactions from atomic dipole moment surfaces, and the origins of the sharp extrema of the dipole moments near the transition states; Journal of Physical Chemistry A 117, 7468-7483. 61. Sadjadi, S.; Matta, C. F.; Hamilton, I. P. (2013). “Chemical bonding in groups 10, 11, and 12 transition metal homodimers: An electron density study”, Canadian Journal of Chemistry 91, 583-590. 60. Bensasson, R.; Sowlati-Hashjin, S.; Zoete, V.; Dauzonne, D.; Matta, C. F. (2013). “Physicochemical properties of exogenous molecules correlated with their biological efficacy as protectors against carcinogenesis and inflammation”, International Reviews in Physical Chemistry 32, 393-434. Groves, B. R.; Crawford, S. M.; Lundrigan, T.; S. Sowlati-Hashjin; Matta, C. F.; Thompson, A. (2013). “Improved synthesis and chemical manipulation of the simplest F-BODIPY framework”, Chemical Communications 49, 816-818. Matta, C. F. (2013). 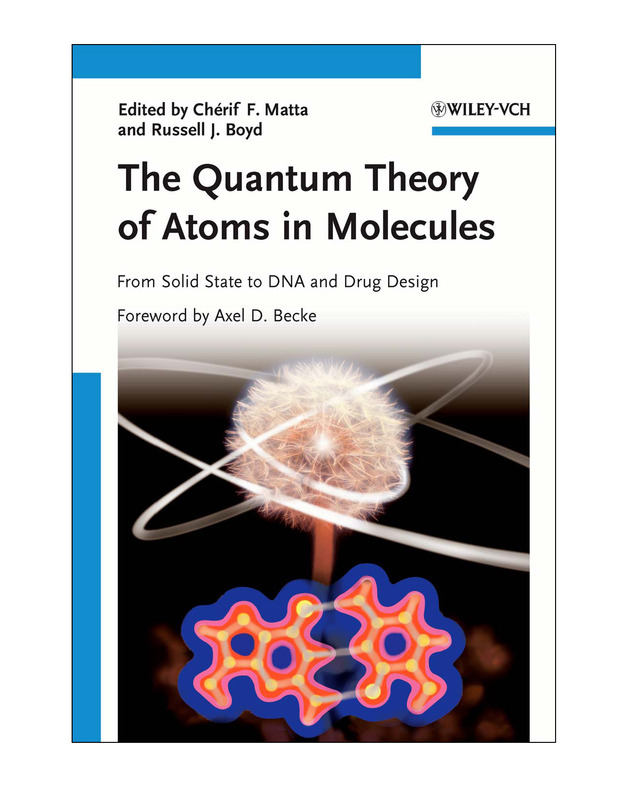 “Philosophical aspects and implications of the quantum theory of atoms in molecules (QTAIM)”, Foundations of Chemistry 15, 245-251. Bader, R. F. W.; Matta, C. F. (2013). 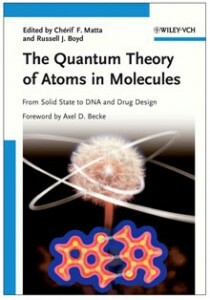 “Atoms in molecules as non-overlapping, bounded, space-filling open quantum systems”, Foundations of Chemistry 15, 253-276. Wallace, S.; Huang, L.; Matta, C. F.; Massa, L.; Bernal, (2012). I. “New structures of hydronium cation clusters”, Comptes Rendus Chimie 15, 700-707. Matta, C. F.; Huang, L.; Massa, L. (2012). “Local intense cellular electric fields and their relevance in the computational modeling of biochemical reactions”, Future Medicinal Chemistry 4, 1873-1875. Arabi, A. A.; Matta, C. F. (2011). “Effects of external electric fields on double proton transfer kinetics in the formic acid dimer”, Physical Chemistry Chemical Physics (PCCP) 13, 13738-13748. Matta, C. F.; Sichinga, M.; Ayers, P. W. (2011). “Information theoretic properties from the quantum theory of atoms in molecules” Chemical Physics Letters 514, 379-383. Sadjadi, A.; Matta, C. F.; Lemke, K.; Hamilton, I. P. (2011). “Relativistic-consistent electron densities of the coinage metal clusters M2, M4, M42-, M4Na2 (M = Cu, Ag, Au): A QTAIM Study” Journal of Physical Chemistry A 115, 13024–13035. Bohorquez, H.; Boyd, R. J.; Matta, C. F. (2011). Molecular model with quantum mechanical bonding information, Journal of Physical Chemistry A 115, 12991–12997. Matta, C. F.; Huang, L.; Massa, L. (2011). “The characterization of a trihydrogen bond on the basis of the topology of the electron density”, Journal of Physical Chemistry A 115, 12451–12458. Huang, L.; Matta, C. F.; Massa, L. (2011). “Ion induced dipole clusters Hn– (3 ≤ n-odd ≤ 13): Density functional theory calculations of structure and energy”, Journal of Physical Chemistry A 115, 12445–12450. Matta, C. F.; Arabi, A. A. (2011). 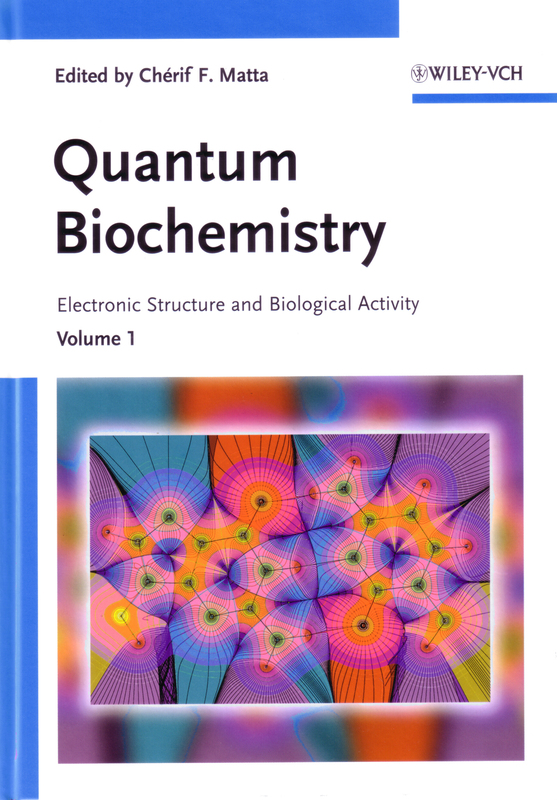 “Electron density descriptors as predictors in quantitative structure-to-activity/property-relationships (QSAR/QSPR)”, Future Medicinal Chemistry 3, 969-994. Cukrowski, I.; Matta, C. F. (2011). “Protonation sequence of linear aliphatic polyamines from intramolecular atomic energies and charges”, Computational and Theoretical Chemistry 966, 213-219. Huang, L.; Bohorquez, H.; Matta, C. F.; Massa, L. (2011). “The kernel energy method: Application to graphene and extended aromatics”, International Journal of Quantum Chemistry 111, 4150–4157. Matta, C. F.; Massa, L. (2011). “Subsystem quantum mechanics and in-silico medicinal and biological chemistry”, Future Medicinal Chemistry 3, 1971–1974. Matta, C. F.; Massa, L; Gubskaya, V. A.; Knoll, E. (2011) “Can one take the logarithm or the sine of a dimensioned quantity or a unit? Dimensional analysis involving transcendental functions”, Journal of Chemical Education 88, 67–70. Cukrowski, I; Matta, C. F. (2010). “Hydrogen-hydrogen bonding: A stabilizing interaction in strained chelating rings of metal complexes in aqueous phase”, Chemical Physics Letters 499 66–69. Walker, V. E. J.; Castillo, N.; Matta, C. F.; Boyd, R. J. (2010) “The effect of multiplicity on the size of iron (II) and the structure of iron (II) porphyrins”, Journal of Physical Chemistry A 114, 10315–10319. Matta, C. F.; Arabi, A. A.; Weaver, D. F. (2010). “The bioisosteric similarity of the tetrazole and carboxylate anions: Clues from the topologies of the electrostatic potential and of the electron density”, European Journal of Medicinal Chemistry 45, 1868–1872. Bohórquez, H. J.; Matta, C. F.; Boyd, R. J. (2010). “The localized electron detector as an ab initio representation of molecular structures”, International Journal of Quantum Chemistry 110, 2418-2425. Matta, C. F.; Arabi, A., Keith, T. A. (2007). “Atomic contributions to the dissociation energy of the P-O(H) Bond in hydrogen phosphate anion (HPO42-): Disentangling the effect of Mg2+”, Journal of Physical Chemistry A 111, 8864-8872. Taylor, A.; Matta, C. F.; Boyd, R. J. (2007). “The hydrated electron as a pseudo-atom in cavity-bound water clusters”, Journal of Chemical Theory and Computation 3, 1054-1063. Hernández-Trujillo, J.; Matta C. F. (2007). “Hydrogen-hydrogen bonding in biphenyl revisited”, Structural Chemistry 18, 849-857. Wolstenholme, D.; Matta, C. F.; Cameron, T. S. (2007). “Experimental and theoretical charge density study of a highly twisted polycyclic aromatic hydrocarbon: 4-Methyl-helicene”, Journal of Physical Chemistry A 111, 8803-8813. Matta, C. F., Castillo, N., Boyd, R. J. (2006). “Atomic contributions to bond dissociation energies in aliphatic hydrocarbons”, Journal of Chemical Physics 125, 204103-(1-13). Zhurova, E. A.; Matta, C. F.; Wu, N.; Chen, Y.-S., Pinkerton, A. A. (2006). “Experimental and theoretical electron density study of estrone”, Journal of the American Chemical Society 128, 8849-8861. Bandrauk, A. D.; Sedik, E. S.; Matta, C. F. (2006). “Laser control of reaction paths in ion-molecule reactions”, Molecular Physics 104, 95-102. Matta, C. F.; Castillo, N.; Boyd, R. J. (2006). “Extended weak bonding interactions in DNA: pi-stacking (base-base), base-backbone, and backbone-backbone interactions”, Journal of Physical Chemistry B 110, 563-578. Matta, C. F.; Bader, R. F. W. (2006). “An experimentalist’s reply to ‘What is an atom in a molecule?’ ”, Journal of Physical Chemistry A 110, 6365-6371. Dobrin, S.; Harikumar, K. R.; Matta, C. F.; Polanyi, J. C. (2005). “An STM study of the localized atomic reaction of 1,2 and 1,4-dibromoxylene at Si(111) 7×7”, Surface Science 580, 39-50. Matta, C. F.; Castillo, N.; Boyd, R. J. (2005). “Characterization of a closed-shell fluorine-fluorine bonding interaction in aromatic compounds on the basis of the electron density”, Journal of Physical Chemistry A 109, 3669-3681. Castillo, N.; Matta, C. F.; Boyd, R. J. (2005). “Fluorine-fluorine spin-spin coupling constants: Correlations with the delocalization index and with the internuclear separation”, Journal of Chemical Information and Modeling 45, 354-359. Castillo, N., Matta, C. F., Boyd, R. J. (2005). “The first example of a cage critical point in a single ring: A novel twisted α-helical ring topology”, Chemical Physics Letters 409, 265-269. Matta, C. F.; Polanyi, J. C. (2004). “Effect of adatom-to-adatom separation on the reactivity of dihalobenzenes at Si(111)7´7 surfaces: chemistry on a peg-board”, Philosophical Transactions of the Royal Society of London 362, 1185-1194 (10). Bandrauk, A. D.; Sedik, E. S.; Matta, C. F. (2004) “Effect of absolute laser phase on reaction paths in laser-induced chemical reactions”, Journal of Chemical Physics 121, 7764-7775. Bader, R. F. W.; Matta, C. F.; Cortés-Guzmán, F. (2004). “Where to draw the line in defining a molecular structure”, Organometallics 23, 6253-6263. Bader, R. F. W; Matta, C. F. (2004). “Atomic charges are measurable quantum expectation values: A rebuttal of criticisms of QTAIM charges“, Journal of Physical Chemistry A 108, 8385-8394. Matta, C. F. and Hernández-Trujillo, J. (2003). “Bonding in polycyclic aromatic hydrocarbons in terms of the electron density and of the electron pair density”, Journal of Physical Chemistry A 107, 7496-7504. Wang, Y.-G.; Matta, C. F.; Werstiuk, N. H. (2003). “Comparison of localization and delocalization indices obtained with Hartree-Fock and conventional correlated methods: Effect of Coulomb correlation”, Journal of Computational Chemistry 24, 1720-1729. Matta, C. F. (2003). 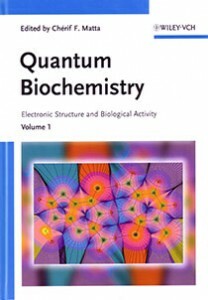 “Application of the quantum theory of atoms in molecules to selected physicochemical and biophysical problems: focus on correlation with experiment”, Journal of Computational Chemistry 24, 453-462. Matta, C. F.; Cow, C. N.; and Harrison, P. H. M. (2003). “Twisted amides: x-ray crystallographic and theoretical study of two acylated glycolurils with aromatic substituents” Journal of Molecular Structure 660, 81-97. Matta, C. F.; Hernández-Trujillo, J.; and Bader, R. F. W. (2002). “Proton spin-spin coupling and electron delocalization”, Journal of Physical Chemistry A 106, 7369-7375. Matta, C. F. and Bader, R. F. W. (2002). “Atoms-in-molecules study of the genetically- encoded amino acids. II. Computational study of molecular geometries”, Proteins: Structure, Function, and Genetics 48, 519-538. Bader, R. F. W. and Matta, C. F. (2001). “Properties of atoms in crystals: dielectric polarization”, International Journal of Quantum Chemistry 85, 592-607. Bader, R. F. W.; Matta, C. F. (2001). “Bonding to titanium”, Inorganic Chemistry 40, 5603-5611. Duspara, P. A.; Matta, C. F.; Jenkins, S. I.; and Harrison, P. H. M. (2001). “Twisted amides: Synthesis and structure of 1,6-dipivaloyl-3,4,7,8-tetramethyl-2,5-dithioglycoluril”, Organic Letters 3, 495-498. Gillespie, R. J. and Matta, C. F. (2001). “Teaching the VSEPR model and electron densities”, Chemistry Education: Research and Practice In Europe 2, 73-90. Matta, C. F. and Bader, R. F. W. (2000). “An atoms-in-molecules study of the genetically-encoded amino acids. I. Effects of conformation and of tautomerization on geometric, atomic, and bond properties”, Proteins: Structure, Function, and Genetics 40, 310-329. Matta, C. F.; Cow, C. C., Sun, S.; Britten, J. F.; and Harrison, P. H. M. (2000). “Twisted amides: Crystal and optimized structures, and molecular geometry analysis of 1-acetyl-3,4,7,8-tetramethylglycoluril and1,6-diacetyl-3,4,7,8-tetramethyl-glycoluril”, Journal of Molecular Structure 523, 241-255. Sun, S.; Britten, J. F.; Cow, C. C.; Matta, C. F.; and Harrison, P. H. M. (1998). “The crystal structure of 3,4,7,8-tetramethylglycoluril”, Canadian Journal of Chemistry 76, 301-306. Matta, C. F. (1991). “L’effet tunnel : quelques applications”, Bulletin de l’Union des physiciens (BUP) 85 (No. 734), 737-749. (in French).